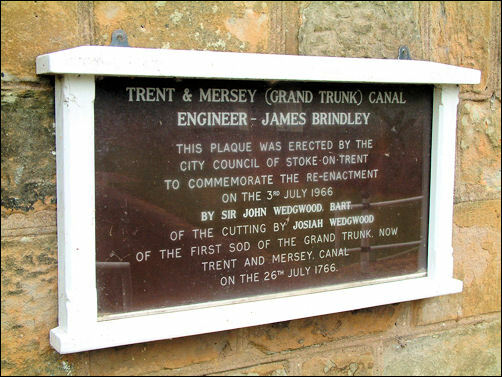 Trent & Mersey Canal Heritage No. Description: Pair of canal tunnel portals and retaining walls. 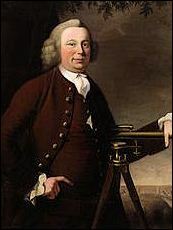 1766-1767 by James Brindley and 1824-1827 by Thomas Telford. Brindley's brick tunnel portal set back to the left. Telford's rock-faced ashlar tunnel portal to the right. 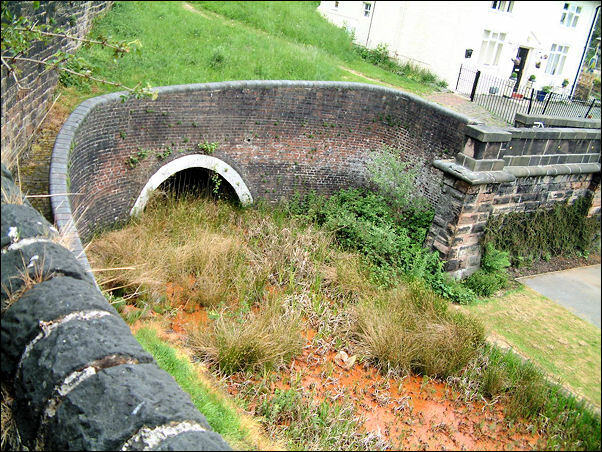 Pair of canal tunnel portals and retaining walls. 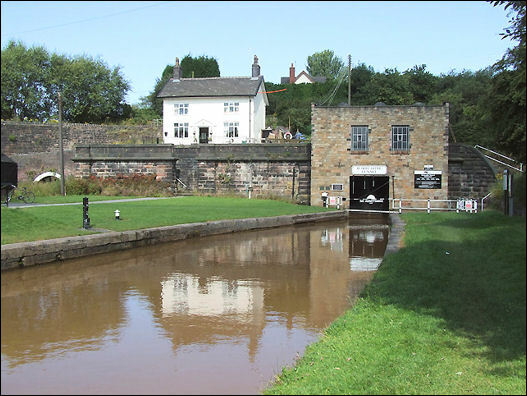 1766-1767 by James Brindley and 1824-1827 by Thomas Telford. Brown brick, rock faced ashlar and coursed rubble with ashlar dressings. 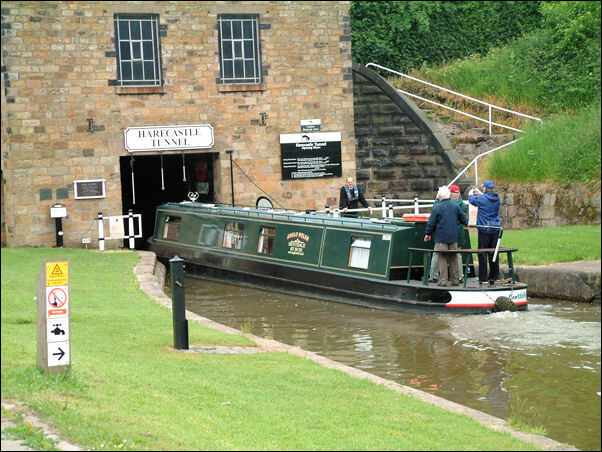 Brindley's brick tunnel portal set back to the left with a segmental arched entrance and an ashlar coped facing wall. Telford's rock-faced ashlar tunnel portal to the right with a segmental rusticated ashlar entrance arch, flanked by pilaster buttresses. This entrance is now masked by a 20th Century coursed rubble farmhouse with a square tunnel entrance and above 2 large metal framed windows. 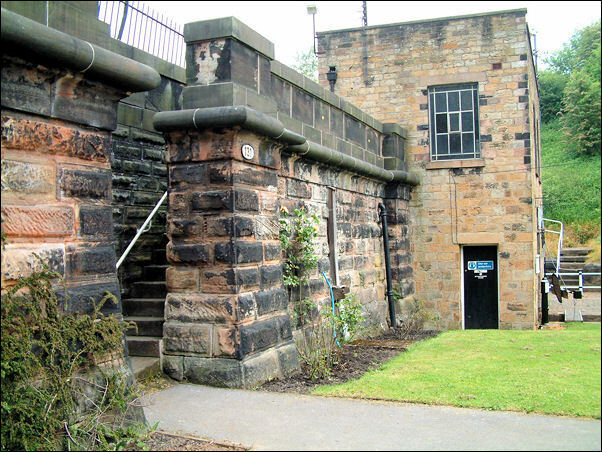 Telford's original facing wall is topped by an ashlar pulvinated frieze and plain coped parapet. To the right this wall curves and slopes to the ground. 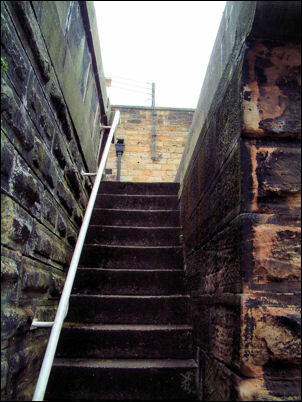 To the left the wall adjoins Brindley's tunnel portal, it is broken in the centre by a gap with flanking pilaster buttresses leading to pairs of long flights of steps rising between the walls.